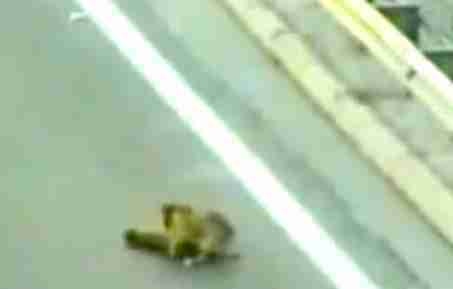 It became the stuff of legend: A dog was trying to cross a busy highway in Chile when the unthinkable happened. A car barreling down the lane struck him. 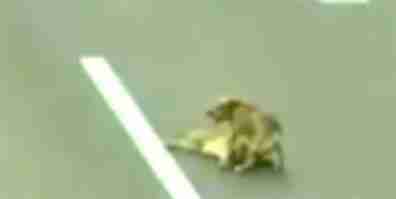 The dog lay helplessly in the middle of speeding traffic. The moments that could be his last seem to last forever in the legendary video from 2008 making new rounds on the internet. 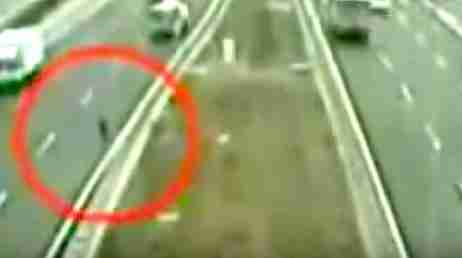 The images of the helpless dog are grainy but his terror can be clearly felt. But the unthinkable is quickly followed by the utterly amazing. Another dog enters the frame and stands over the injured dog's immobilized body. The dog seems to survey the area for help, but realizes, as traffic rushes around them, that something has to be done - fast. 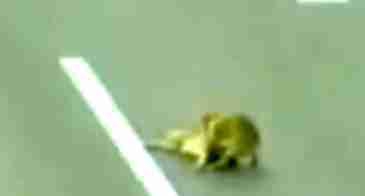 The hero dog takes the injured dog between his paws and drags him backwards out of the lane. Little by little, the pair makes their way to the safety of the road's shoulder. Road workers nearby noticed the dogs and rushed over to help. Tragically the injured dog didn't make it and the hero disappeared, but his brave act will never be forgotten. Read about other beautiful dog heroes here.